Jill Griffin is President of Marketing for Advantage Solutions, with 20 years of experience in marketing, sales, client service and operations. 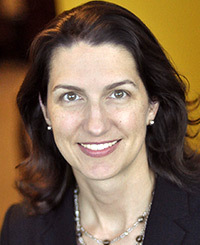 She joined the company in 2008, bringing a solid leadership track record in high-growth, outsourced service companies. Griffin has led the evolution of Advantage’s Marketing division from a primarily Shopper Marketing practice to an omni-channel solution provider including broad-based Experiential, Digital, Multicultural and Food Service Marketing practices. Today, as Advantage Marketing Partners, the agency employs over 1,800 full-time and 25,000 part-time associates across North America and delivers uniquely connected client solutions. The company is proud to be agency of record for many of the most recognized brands across retail, packaged goods, technology, apparel, automotive, travel, entertainment, education and healthcare. Delivering a significant growth trajectory over the past 10 years, the agency was ranked #1 U.S. Consumer Promotion Agency and #1 U.S. Experiential Agency by Advertising Age for 2014, 2015 and 2016.